What happens when buildings die? What do we do with their skeleton when we’ve stopped using them and no longer need them? The truth is that buildings are stronger than us and no material is more flexible than stone. Their metamorphosis fascinates me, and the history and transformation of structures tells us much about ourselves. The picture displayed here seems to show a supermarket, but look beyond the neon cosmetics and you’ll see something else. The art deco forms and whitewashed walls seem to suggest another life from a previous existence. Close your eyes to the trappings of today and imagine large posters adorning the walls. 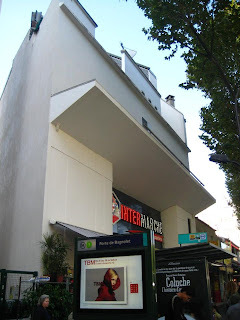 Replace Intermarché with the name of the latest blockbuster and you’ll see what this building originally housed; a cinema. Paris is still the European capital of cinema, with over 100 cinemas and more than 300 screens in the city, but these figures represent only about 30% of the total that existed a generation ago. There are still several cinematic hotspots around the city where the concentration is almost as plentiful as before, such as around the Champs Elysées, the Grands Boulevards and Montparnasse, but in the post-war golden age of cinema, almost every district of Paris had a comparable number of establishments. Many of these structures have been demolished, but the majority have survived and been transformed. Some have naturally evolved into theatres or concert venues, whilst others have been stripped and become nightclubs. Their rather unorthodox spaces have also meant that they provide ideal frameworks for supermarkets, and as they were often placed at convenient locations, they have thrived in this reincarnation. From a cultural and architectural perspective, it may seem a shame that a cinema has become a supermarket, but it is a perfect reflection of our 21st century lifestyle. Shopping has become a leisure activity and we spend more time today feeding our bodies than our minds. Television, then later video and DVD also killed the cinema’s starring role, but it’s comforting to see that the physical structures are still alive. Our cityscapes are defined by the way we lead our lives, but like wallpaper in an old house, we can strip back the layers and read into the past. As the Greek philosopher Anaxagoras wrote, “Nothing is lost, nothing is created, everything is transformed”. Thanks to this fantastic resource I’ve discovered that the building in the photo at the top was previously the Séverine on the Boulevard Davout. The second photo displays another example and another supermarket, this time on the Rue d’Avron. 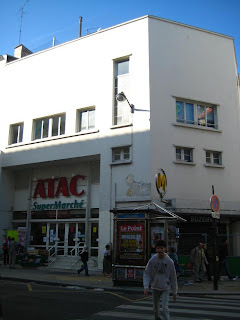 The Palais d’Avron is dead, long live Atac! This example is especially interesting as the building also provides access to the Buzenval Metro station, which is a suprisingly rare feature in Paris. This entry is now officially a joint-effort. If you have any photos of converted cinemas, either in Paris or elsewhere in the world, send them to me and I’ll publish them here. Here are the first pictures I have received so far. Tim sent me an interesting before and after from Conflans in the Yvelines, proving that cinemas can also rehabilitate old spaces! The old Salle de Fetes became a cinema in 1951 and it is still in operation today. 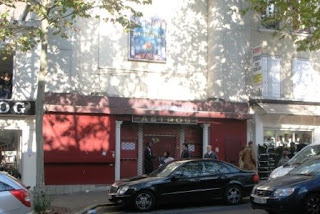 Peter has also very kindly sent me some pictures of disused cinemas near where he lives in Paris. 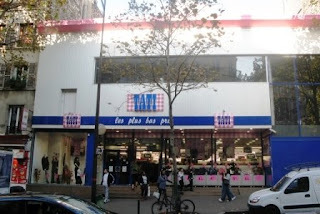 Previously the Gaité Clichy could be found at 106 avenue de Clichy. Today it is the Astros disco. The Tati at 76 avenue de Clichy was previously the Gloria. 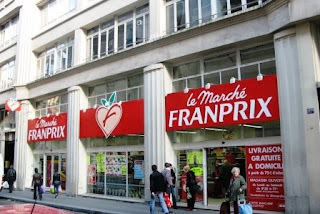 The Cardinet Palace at 112-113 rue Cardinet is now another supermarket, this time a Franprix. 32 bd des Batignolles used to be the Turin, but now there is no longer a number 32! 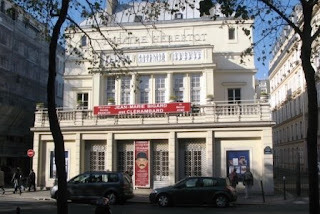 Today this building houses the Théatre Hébertot but apparently it has operated as the Smart Cinema (78 bd des Batignolles). 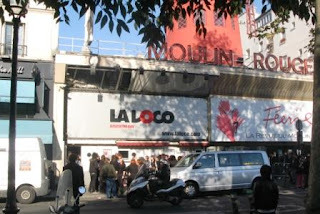 Famous to all visitors to Paris, the building that houses the Moulin Rouge also operated as the Paramount Montmartre until 1990. The spaces still exist, some of which are used by the Loco nightclub and others for the filming of TV shows etc. 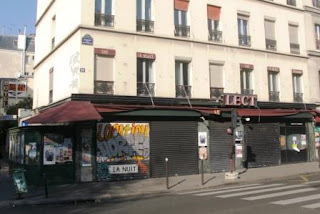 No 64 Bd de Clichy used to be the Agora. Now it operates as...well, it's quite obvious isn't it! Thanks also to Anne for mentioning this excellent example in Washington DC which was found on Flickr. The MacArthur Theater opened on Christmas Day, 1946, but now rather sadly it's a discount drugstore. The conversion from cinema to drugstore must have taken about about two hours by the looks of things! Very interesting - again! I may have one or two photos somewhere, but there are quite a few places (closed) around where I live. I will forward some photos soon. Thanks Anne - that's a fantastic example. They really didn't spend much time over the conversion to a drugstore did they! If the collection now gets quite interesting with photos also from elsewhere than Paris, would you transmit to the "cinematour" site? Good idea Peter. I can certainly e-mail them and see what they suggest. Brilliant reporting, Adam. 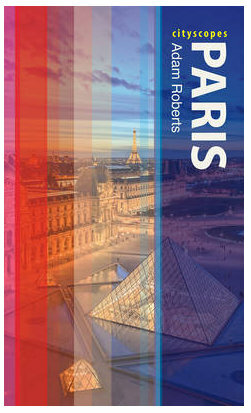 From someone who loves cinema architecture, you've definitely found the ghost in the machine and fulfilled your mission for revealing invisible Paris. Could I use some of these for broadcast on my blog Storefrontwindows.blogspot.com ? Hi Matthew, and thanks for your comments. I still hope that this 'resource' will grow, so feel free to use anything you like on your blog. Most of the pictures were kindly provided by Peter though, so you'd probably have to check with him if those are the ones that are of interest to you. I grew up near that movie house in DC! I saw a showing of My Fair Lady there, complete with intermission, in the eighties. The whole neighborhood banded together to try to save the cinema. They offered to buy the building from CVS at the price CVS paid for it, but the chain would not listen. We found it heartbreaking. One of the other neighborhoods went through a similar experience, but they succeeded. If you are ever in DC, you should check out the Avalon.